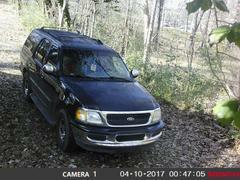 Jackson Police Investigators need assistance identifying a vehicle. 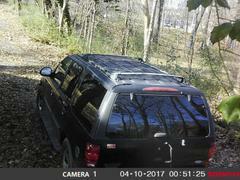 Investigators of the Jackson Police Department continue to investigate a Theft of Property from 1234 N. Highland Avenue and need assistance identifying a vehicle. On December 17th, officers of the Jackson Police Department responded to a residential burglary where the victim reported a Theft of Property exceeding $1000.00. On January 9th, the same victim reported that a 5x8 trailer had been stolen from the yard. Surveillance video captures the suspect vehicle which appears to be a black Ford Explorer with running boards leaving the property. This Explorer also had a chrome gas cap, a broken rear wiper, and a UGN tag hanging from the rear view mirror.